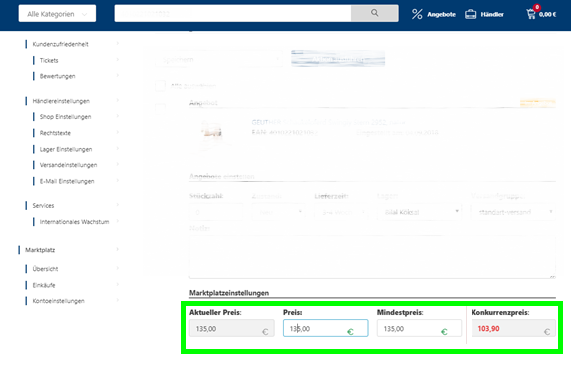 If the competitive price is lower than your current price, real.de automatically sets your current price to the lowest competitive price. If the competition price is below your minimum price, your price will be set to the minimum price. You maintain the minimum price for real.de in reybex in the article master. Go to the Miscellaneous tab > enter your minimum price in the Min. retail price field. The minimum price will only be transferred to real.de during synchronization. Synchronization is triggered automatically when the value is changed.